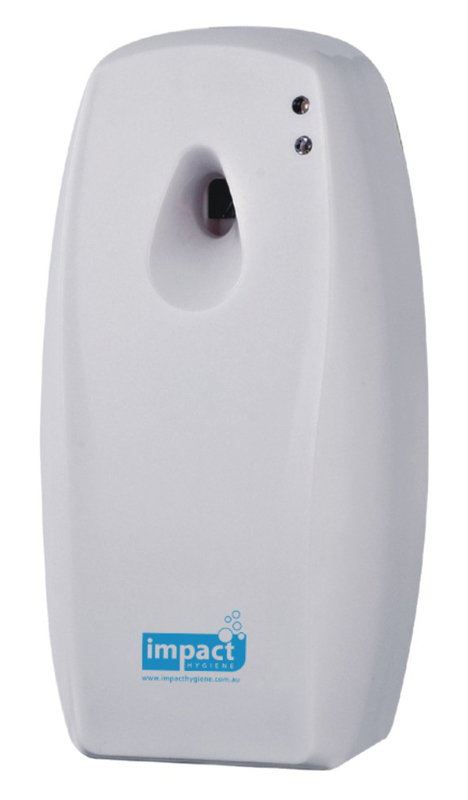 Slim line wall mount, white air freshener dispenser. Modern design. Automatic regulation. Regulates periodically depending on size of area from 7.5 min up to 30 min intervals. Air freshener can be used more than 3000 times. Effective up to 160 cubic metres per unit.